I love the long days of summer. I love being able to take Zumba Fitness Class outdoors! For the young at heart at Mission YMCA, Zumba Gold class. This class begins Thursday, June 4th at 10:30am. There is a minimal fee and class cards may be purchase at the front desk. Summertime is the best season to try a new fitness format. How about in the water? I love water fitness and I love a pool party. Come and have fun in the water with the Aqua Zumba Queen, Claudia Rodas. 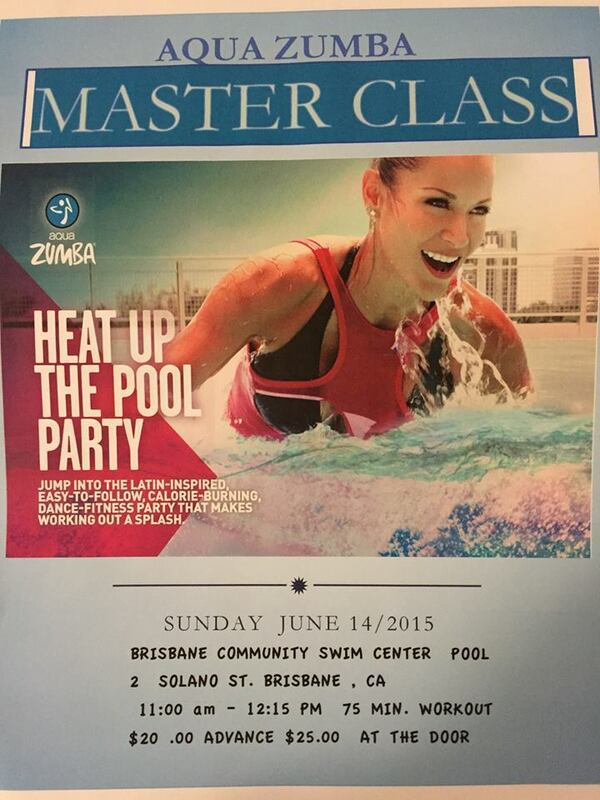 She will be hosting a Aqua Zumba Master Class at the Brisbane Community Pool on Sunday June 14. Check out the flyer below. 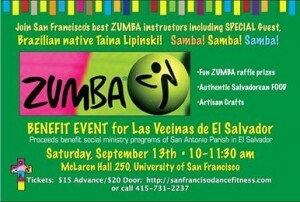 SF Dance Fitness Open House! FREE! I would like to invite you to the Grand Opening of San Francisco Dance Fitness. 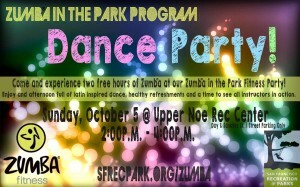 Join us as we launch our new fitness program: ZUMBA, ZUMBAtomic, Mommy & Me GET FIT, Hip Hop, and Pilates. It’s a family event! See you there! Come ready to shake it! 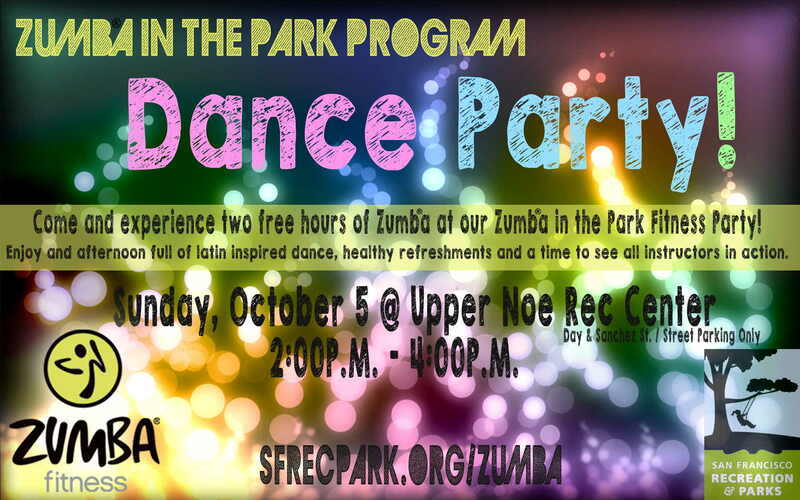 Attendees will receive a ZUMBA PASS for unlimited $5 classes for May! 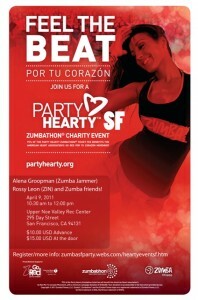 Tuesday, March 1st….Zumba Demo at San Francisco’s Richmond District Rec Center. The Recreation Center is located at 251 18th between Clement and California Sts.. I hope to see you there!!! Saturday, April 9th…. Feel the Beat ..Party Hearty for American Heart Association…. February is the month of Love and Friendship, President’s Day and the Lunar New Year…It is also my Zumba Anniversary. It was three years ago that I discovered Zumba and became a licensed Instructor. A new chapter began in my life…living with Zumba…Zumba let’s me put all my dance experience to use in a fun fitness environment. I love sharing with everyone all the latin rhythms I grew up with. I hope you will have a chance to join me this month and groove your heart away…..